Ground-source heat pumps are a down to earth solution to high energy building costs. A ground-source heat pump uses the earth as the source of heat in the winter, and the “sink” for heat removed in the summer. Heat is removed from the earth by a liquid, such as an antifreeze solution, which is pumped through pipes in the ground. The heat pump upgrades the ground heat and transfers it to indoor air. During summer months, the process is reversed: heat is extracted from indoor air and transferred to the earth through antifreeze solution via pipes. Ground-source heat pump (or geothermal) systems use largely renewable energy and can significantly reduce building energy requirements for space heating, cooling and water heating in buildings. Typically, total building energy savings of 25% or more can be achieved compared to designs with more traditional HVAC systems. Caneta Energy works directly with your design team and familiarizes them with the design of ground-source heat pump systems. Caneta evaluates and oversees an investigation of the specific geologic conditions under your site. We use sophisticated computer models to predict the amount of ground heat exchanger needed. If necessary, we work directly with mechanical engineers to prepare plans and specifications for construction of the borefield. Caneta has been involved in different aspects of ground-source systems for over 15 years. We prepared Committee drafts of the first CSA Standards for design and installation. 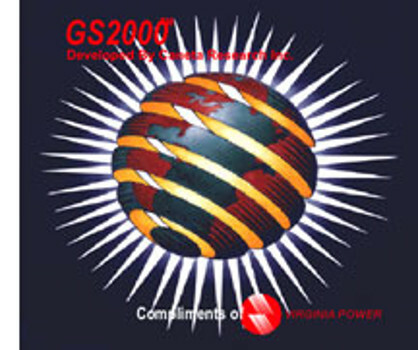 As well, we authored the first ASHRAE Design Manual in 1995 and developed the GS2000™ ground heat exchanger design program about the same time. In 2006, Caneta prepared training content for designers and installers for the Canadian Geoexchange Coalition. We have extensive knowledge of the technology and its application and can make it work for you. In the past two years we have helped design five ground-source heat pump systems in commercial/institutional buildings.